Great stay at the Chalet!!! 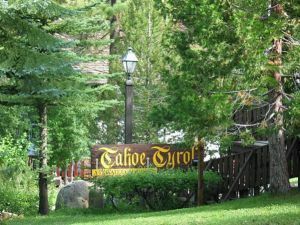 We had a fantastic stay in Lake Tahoe at the Tahoe Tyrol Chalet 3407. The location was perfect for us since we wanted to be close to shopping, the lake and Harvey's as we were attending a concert. 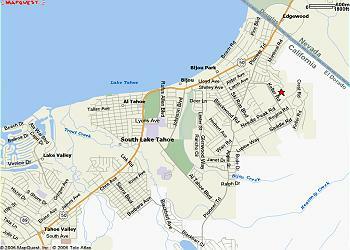 Liked being able to use the back roads around the home to avoid the heavy July traffic on Lake Tahoe Blvd/Hwy 50. 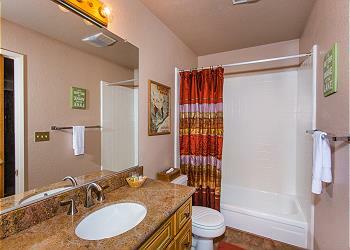 The home was very clean and the kitchen and bathrooms were supplied with everything we needed. I would have to say that my only suggestion would be to purchase some new pillows. They were flat and uncomfortable, but other than that, we were very happy and would choose to stay again in the future. We're so glad you had a great stay. And we'll pass on your comment to the owners. They really take care of the property so we're sure they will respond. Thanks for taking the time to write such a helpful review. Spent 3 nights for a South Lake Tahoe ski trip with friends. Location was under 5 minutes from the Heavenly Gondola/Stateline, so incredibly convenient both for skiing and going out in the evening. 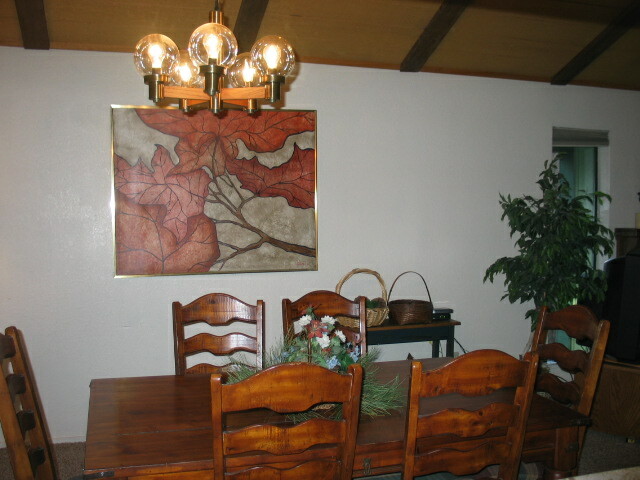 Bedrooms are very large, kitchen and living room are well set up and the property management company was super helpful and easy to deal with. 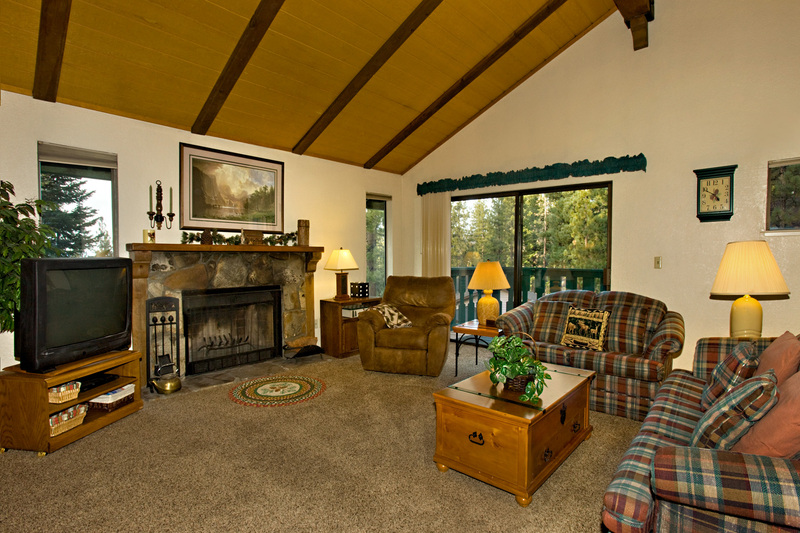 Decor is classic Tahoe - think lots of pine/bear/lake motifs with associated color palette. Home was clean and well maintained, with slightly older furnishing and fixtures. 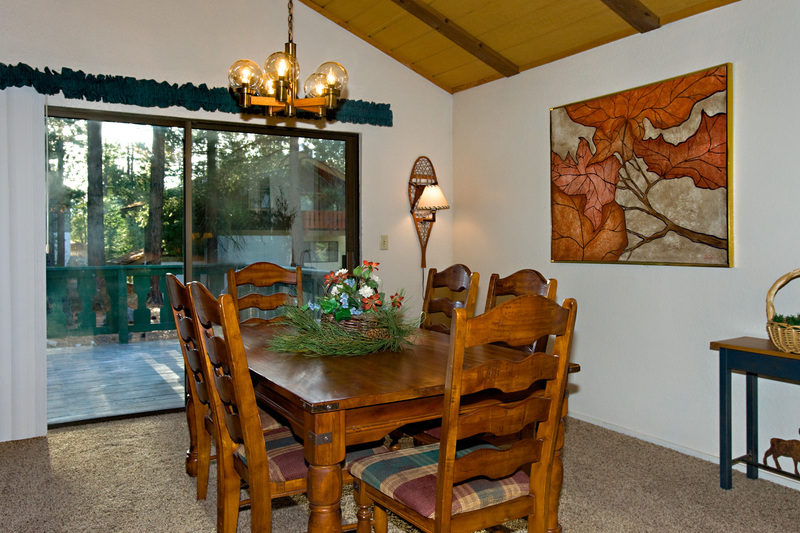 A lot of space for a 2 bedroom rental (again, not only large bedrooms, but good size kitchen and living room area). Parking with driveway and garage could conceivably fit 4 vehicles, but garage spaces may be a little small for the larger SUVs and driveway played narrow in the winter due to snowbanks reducing usable space. 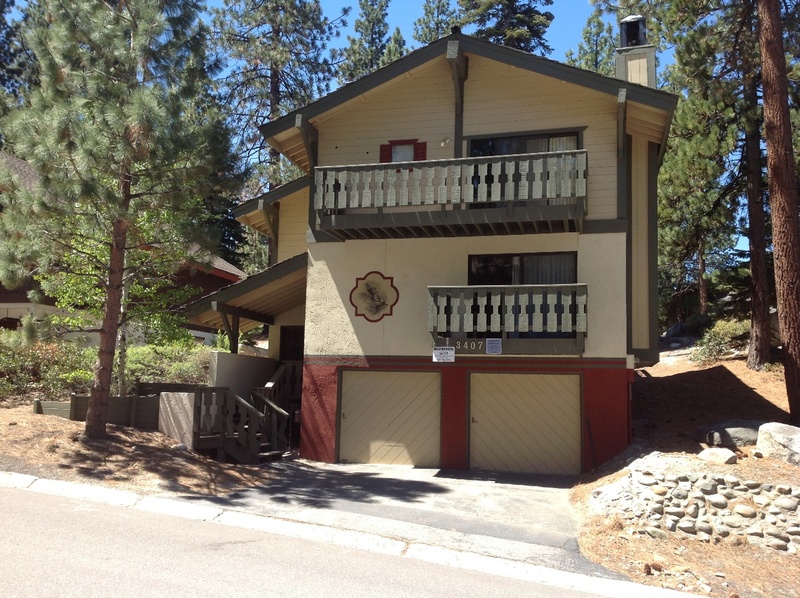 This sounds like a very good description of the 3407 Chalet in Tahoe Tyrol. We're glad you enjoyed your stay and we're really glad you took the time to write such a nice review. And we would love to have you stay here again. Thank you for taking the time to write such a nice review. No complaints about the location or the home itself but when you put 4 women together and start cleaning before enjoying your vacation isn't so great. I stayed in the master bedroom and when I pulled the covers I saw a long hair on the bed, the mirrors weren't clean, kitchen counters were sticky...I can go on but don't let that stop you from renting the home. The home is beautiful, peaceful, quiet and close to everything. We wish you had let us know, we would have like to take care of the cleaning issue for you during your stay. We apologize that you found it that way. 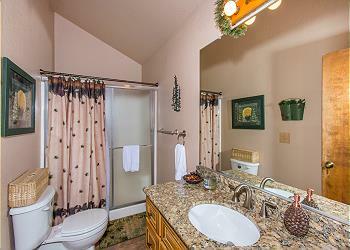 great house - perfect for a family! great house! bedrooms are below so adults can stay up late :) - not far from the main road, but enough that you don't feel like you're in town - lots of trees and space between houses in the neighborhood. We'll all be back ! This was our first time visiting Lake Tahoe, and this turned out to be a great choice. It was close enough to the lake, restaurants and other activities. But far enough away from state line to still give a sense of quiet. We're glad you enjoyed your stay, with the exception of the pillows. We will pass on your recommendation to the owner. 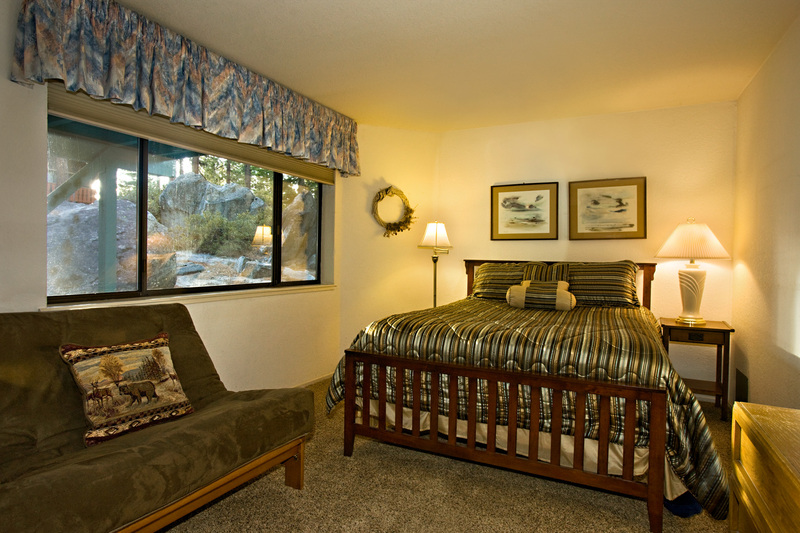 Great 2 bedroom sleep 8 I think it should read sleep 8 large enough for 8 2 bedrooms with sofa bed in living room. Plan to BBQ, but no propane in BBQ tank, Living room TV had no cable. But other than that I would stay again and again. Overall GREAT. perfect for vaca interior was really clean. Internet was really fast most important. I would go back for winter for sure. 1.1 mile to casinos and 2 mikes to lake. 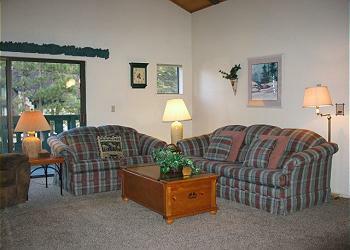 I loved the cabin. Even cuter and seemed more updated then the pictures appear. 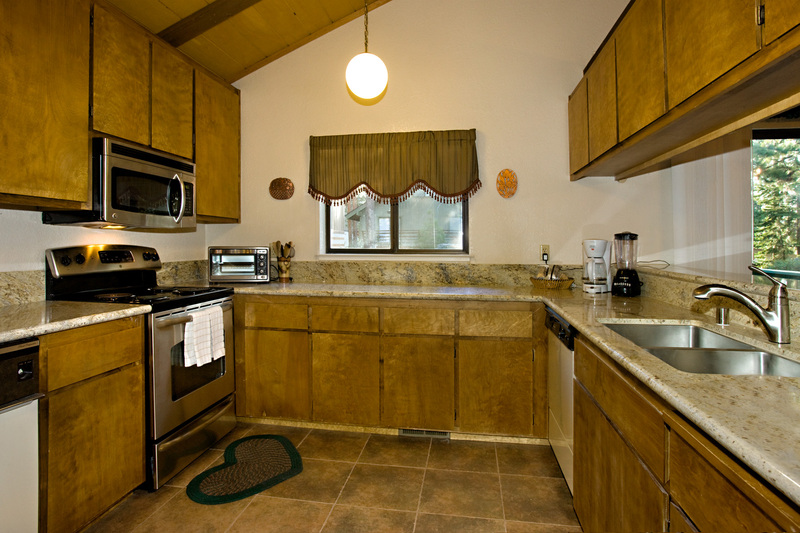 The kitchen was stocked with everything one would need and a grill on the patio. Close to the casinos with a short Uber trip. The house was great! Comfortable and clean and had everything we needed. The deck out back was perfect for morning coffee and evening cocktails. Only negative was the living room furniture. It was old and dusty smelling and sagged the the middle, which made it hard to sit on with a bad back. It's located in a busy street, but after the weekend of the 4th, the street quieted down. Young partyers in both sides were quite noisy, but they too left in the 4th. The rest of our time there was perfect. We'd stay there again, but not in a holiday weekend.